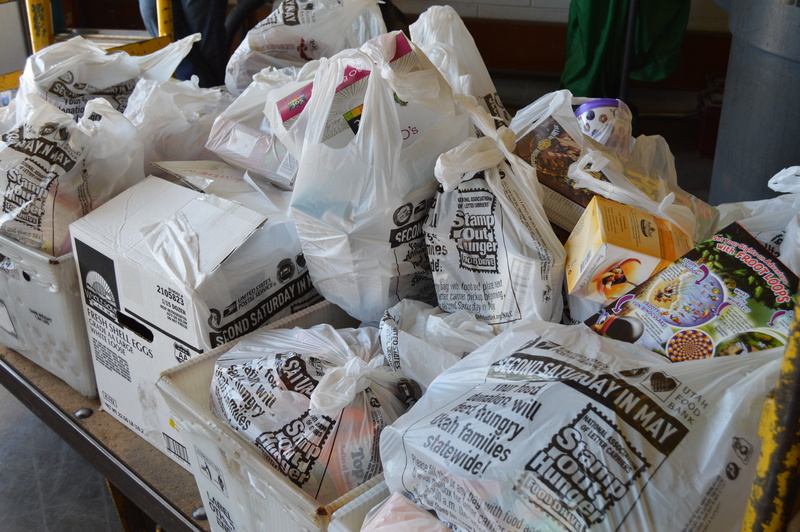 Letter carriers and hunger have one thing in common: neither is affected by the season, which is why on Saturday, May 11th, letter carriers will collect food to help people facing hunger this summer. Your letter carrier will not only deliver your mail that day, but will deliver your donations to us and our statewide network of partner agencies who help us fight hunger statewide. Participating is easy! Just fill a bag or box with non-perishable food items and leave next to your mailbox by 9 am on Saturday, May 11th for pickup by your local letter carrier. Look for a reminder bag in your mailbox during the week leading up to the food drive. Our most critical needs at this time are canned meats, peanut butter, boxed meals, and canned fruits and vegetables—no glass items please. The 27th annual Letter Carriers’ Stamp Out Hunger Food Drive is sponsored nationally by the National Association of Letter Carriers in conjunction with the National Rural Letter Carriers’ Association and United States Postal Service. In Utah and across the nation, this food drive has emerged as one of the largest single-day food drives, resulting in millions of meals for people facing hunger. You can also take your food to Utah Food Bank’s warehouses, Harmons, or if your food is not picked up, place back outside your door on the Monday following the event.